I am a software engineer living in San Francisco. I like challenging software projects. Check out my portfolio down below. Cloudbrain is a software that acquires EEG and other biosensor data, streams it to a server, analyzes the sensor data, and visualizes the sensor data. It is an open source project and I am an extensive contributor and collaborator with the project lead, Marion. 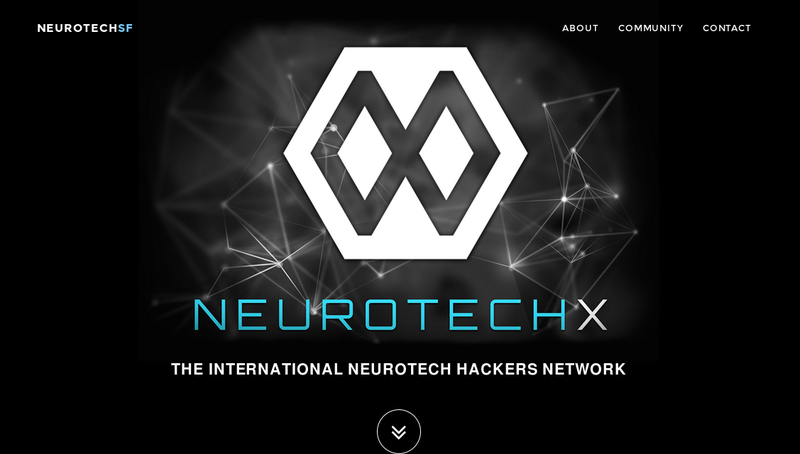 NeurotechX is a group of scientists, software engineers, makers, and designers all interested in technology related to neuroscience. I help lead the local group in San Francisco. We host weekly 'hack' sessions and introduce people about the technology accessible to them in the field of neuroscience. BCAPI is a work in progress that will allow people to have an easily accessible library for Brain-Computer Interfacing with everyday objects, like a mind-controlled wheelchair. We want it to be easy for people to connect their brain to any device. 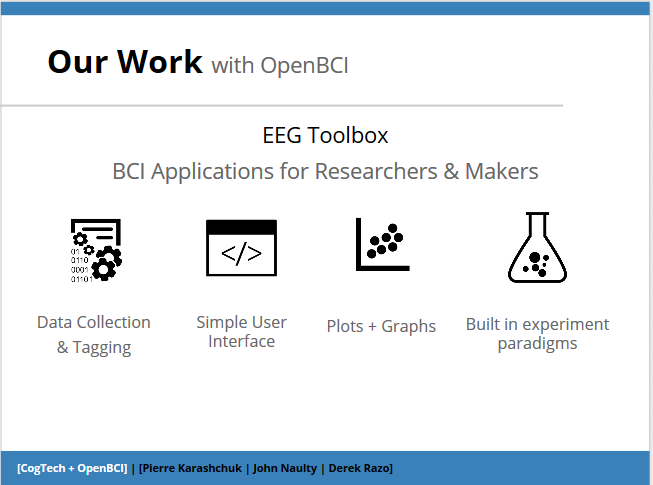 Our group won the Berkeley Big Ideas competition in May 2015 and will begin developing this library in the coming months and integrate it with Cloudbrain. In the Fall of 2014 I began a dialogue with the City of Fort Bragg about my desire to help implement free, public WiFi in the downtown business district. I was added to the ad hoc Technology Committee and helped plan and develop this project from the ground up. In the Summer of 2014 I worked with a UC Berkeley Psychology Professor, William Prinzmetal, on research that involved certain BCI paradigms. 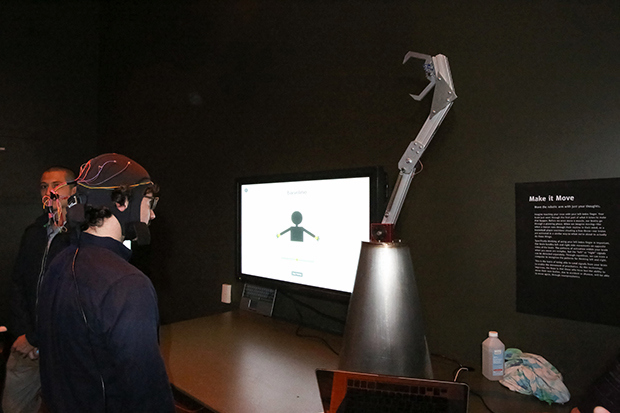 We were testing the Emotiv EPOC mobile EEG device as well as the OpenBCI EEG device. 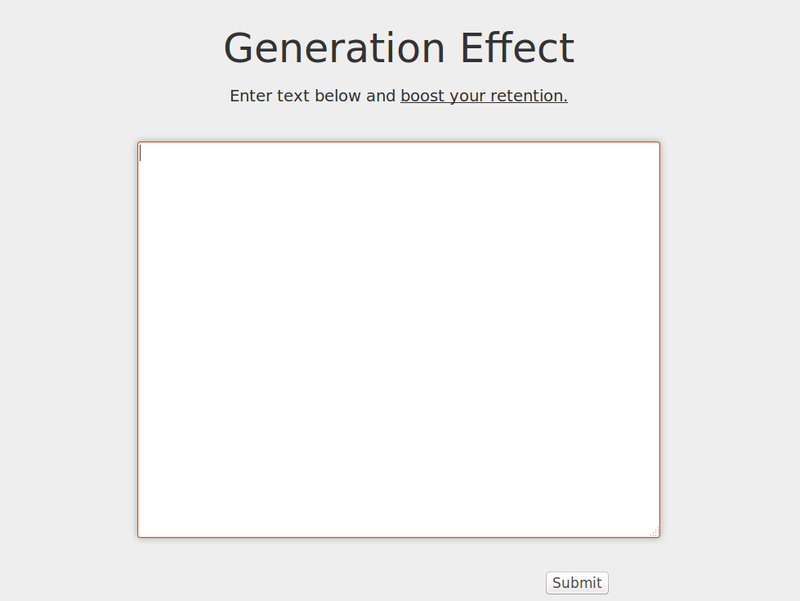 I wrote the programs for presenting stimulus and the GUI used by the professor and graduate students. Small group contracted out of Mendocino County for website development, maintenance, optimization, as well as cloud-compatible embedded device installation. UC Berkeley Hackjam 2014 project showcasing a simple webapp that utilizes a phenomenom showcased in cognitive psychology experiments. At Sage's Computers I built and serviced many local businesses websites. 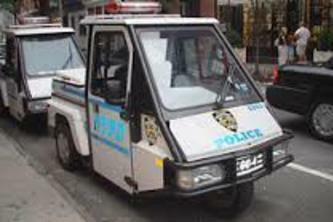 Worked as a legal secretary for a small law firm in Fort Bragg, California. We are making an open-source hardware and software package to enable faster development of assistive brain technologies. In April 2015, we won first in the Berkeley Big Ideas competition.